„ELGAMA-ELEKTRONIKA“ Ltd. starts the year 2017 by signing contract of certified “Green Lithuanian Energy” supply and demonstrating its concern regarding ecological issues and global warming as well as supporting social responsibility and economy growth. From now on the company will consume electricity produced in local territory from renewable energy sources. ELGAMA-ELEKTRONIKA Ltd. terminates the production of three-phase electricity meter type EPQM. However, technical support and verification renewal of the said meter will be performed by the company till 31 December, 2021 (for 5 years). 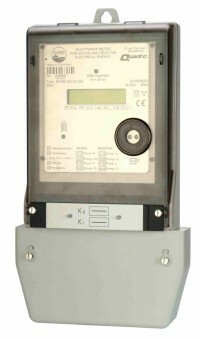 Meter EPQM from now is being replaced by other three-phase meters GAMA300 (G3A) or EPQS developed with expanded functionality. Representatives of Notified Body Slovenská Legálna Metrológia (Slovakia) confirmed the fulfillment of MID (Measuring Instruments Directive) requirements specified for quality management system as well as production processes of electricity meters after annual audit performed at "ELGAMA-ELEKTRONIKA" Ltd. premises and issued the corresponding certificates.